We all know that networkdays() an extremely powerful and simple excel formula can help you calculate no. of working days between 2 given dates. But there is one problem with it. It assumes 5 day workweek starting with Monday to Friday. Not all countries have workweek from Monday to Friday. This got me thinking and I ended up writing a user defined formula (UDF) to calculate working days between 2 given dates with any criteria. This will be good for calculating payrolls for temporary workers, offshore partners and of course people working countries where Saturday or Sunday or not usually holidays. 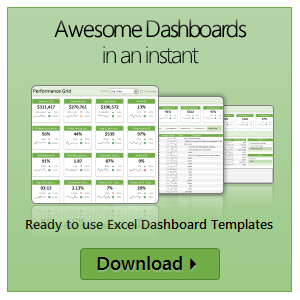 Check out two fabulous implementations of tweetboards in excel. Download the workbooks and play with them yourself. Thanks Fernando and Lee for sharing these workbooks with us.